The guests must have felt lucky who attended the royal wedding of Prince Harry and Meghan Markle on 19th May 2018. As their wedding was the most awaited marriage for their fans across the world. The craze for this royal wedding was also seen on the social media especially on Twitter. The #RoyalWedding2018 was the trend on the micro-blogging site. Well, how people can stay away from having fun in such big event? People also showed their creativity regarding this royal marriage. 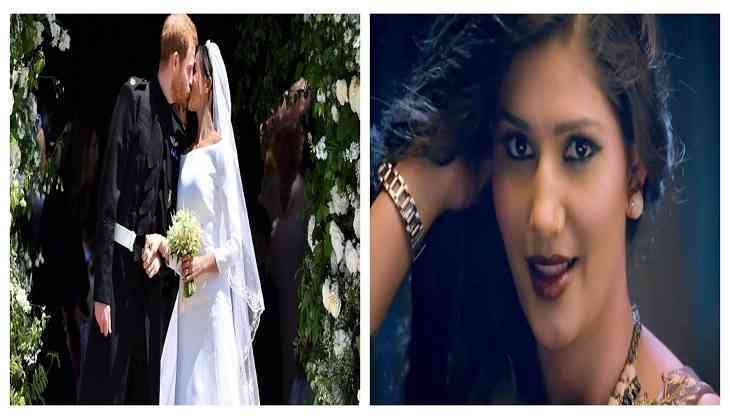 The social media users have created various memes and videos on this Royal wedding that is getting viral over the Internet these days. The creativity is so funny that you can’t hold your laugh anymore after watching the videos. In the viral videos, the video artists have made the videos more unique by adding the background music. 2. Not only Sapna Choudhary but Ranbir Kapoor’s famous song ‘Channa Mereya’ was also made the wedding ceremony full of fun. We must say, Twitterati or social media users can do anything creative as they having no boundaries and barriers to reach anywhere they want. Well, Bollywood actress Priyanka Chopra was the only one from the B-town who attended this Royal wedding. She was looking stunning and hot in the wedding because of the outfit that she wore in the ceremony. We must salute the creativity of the users. What do you say?